Great news for Sellers: Home prices are up 2017! Great News for Sellers: Home Prices are up! More than half of housing markets saw home sale prices peak at the end of 2016, according to the National Association of REALTORS®' (NAR) recently released quarterly report, contributing to the best quarterly sales pace of the year. 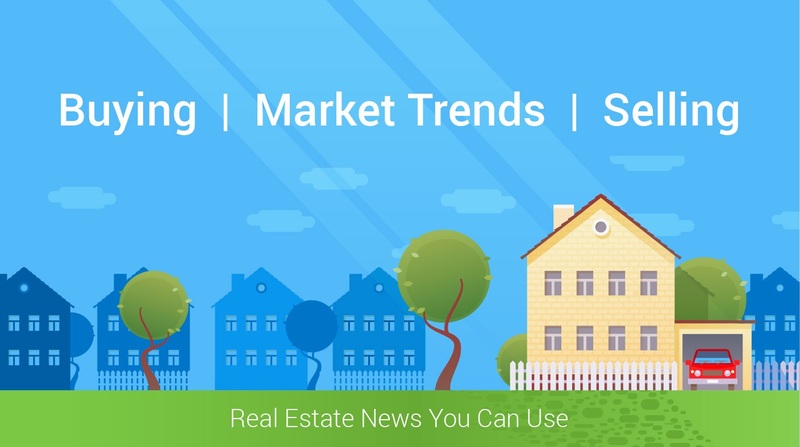 Eighty-nine percent of markets saw home prices increase in the fourth quarter, compared to 87 percent in the third quarter, with 17 percent experiencing double-digital increases. "Buyer interest stayed elevated in most areas thanks to mortgage rates under 4 percent for most of the year and the creation of 1.7 million new jobs edging the job market closer to full employment," says Lawrence Yun, NAR chief economist. "At the same time, the inability for supply to catch up with this demand drove prices higher and continued to put a tight affordability squeeze on those trying to reach the market." The median single-family home price nationally was $235,000 in the fourth quarter, up 5.7 percent from the fourth quarter of 2015. Fifty-two percent of the 150 markets analyzed by NAR now have a median price at or above prior all-time highs. The markets with the highest median prices in the fourth quarter were San Jose, Calif. ($1,005,000), San Francisco, Calif. ($837,500), and Anaheim-Santa Ana, Calif. ($745,200); those with the lowest were Youngstown-Warren-Boardman, Ohio ($87,600), Decatur, Ill. ($92,400) and Cumberland, Md. ($94,000). The highest median home price regionally in the fourth quarter was in the West, at $348,800 (a 7.8 percent increase year-over-year), followed by the Northeast at $254,100 (a 0.2 percent decrease), the South at $210,500 (a 5.4 percent increase), and the Midwest at $181,000 (a 5.7 percent increase). "Depressed new and existing inventory conditions led to several of the largest metro areas seeing near or above double-digit appreciation, which has pushed home values to record highs in a slight majority of markets," Yun says. "The exception for the most part is in the Northeast, where price growth is flatter because of healthier supply conditions." Condo and co-op prices across the board also increased in the fourth quarter, up 6.1 percent year-over-year to $222,000. Overall, housing affordability slid compared to the fourth quarter of 2015—according to NAR, buying a median-priced single-family home now would require an income of $51,017 for a 5 percent down payment, $48,332 for a 10 percent down payment, and $42,962 for a 20 percent down payment. "Even a pick-up in wage growth may be insufficient to compensate the impact of higher mortgage rates and home prices," says Yun. "Increased homebuilding will be crucial to alleviate supply shortages and stave off the affordability hit." "The prospect of higher mortgage rates and more home shoppers in coming months should be enough of an incentive for those serious about buying to start their search now," says NAR President Bill Brown. "There are fewer listings on the market, but also a little less competition than what's expected this spring. Buyers may find just the home they're looking for at a good price and without the possibility of having to outbid others." The above information was obtained from Rismedia 2-13-17. Thinking of buying or selling a home, contact me for more informationj.